Establishing a taxonomy of native Californian languages is made difficult by the paucity of evidence. 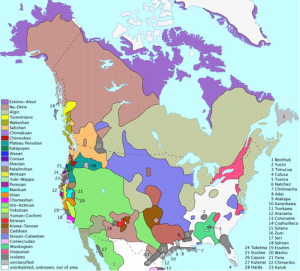 Relatively little is known about the present state of many Native North American languages, and even less about their past. 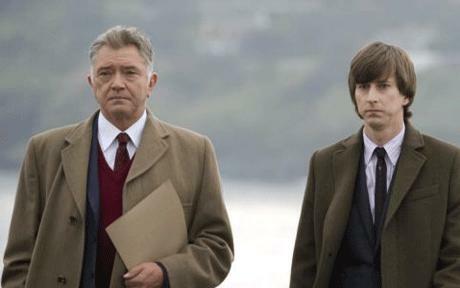 Most descriptions only go back two hundred years or so; compare that to the 1,500 years of well-documented history of English, some particularities of which are still hotly debated among scholars. The deeper history of California’s indigenous languages must be carefully reconstructed, but the further back into the past we attempt to reach, the more our reconstructions must build upon layers of earlier reconstructions, introducing ever more room for error, doubt, and contention. Documenting Native American languages and their history is further hindered by the fact that many of them are moribund or extinct. The demise of California’s indigenous languages stems in part from the decimation of native populations in the 18th and early 19th century and in part with the later massive, and often forced, acculturation and shift to English. The Coast Miwok, Wappo, Saclan (Bay Miwok), Karkin, and Chocheño, all once spoken in the San Francisco Bay area, disappeared in the 18th or 19th century. 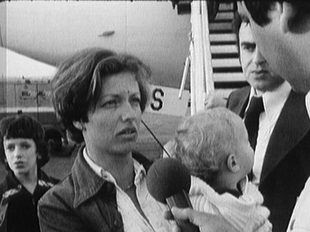 Several languages that survived into the 20th century succumbed by the 1960s. 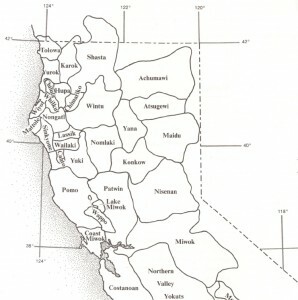 Extant languages of Northern California, – such as Karuk (or Karok), Hupa, and Yurok – each number less than a dozen speakers. The UNESCO list of endangered languages lists all indigenous languages of Northern California as either “severely endangered” (meaning that the “language is spoken by grandparents and older generations; while the parent generation may understand it, they do not speak it to children or among themselves), or – in most cases – as “critically endangered”, (meaning that “the youngest speakers are grandparents and older, and they speak the language partially and infrequently”). Many indigenous Californian languages belong to families that are found only found in the state. A few, however, fit into much more larger groupings: Athabascan, Algic, and Uto-Aztecan. As is characteristic of North American linguistic geography more generally, these families are highly dispersed over broad areas. The Numic languages of eastern California, for example, belong to the Uto-Aztecan language family, spoken across the Great Basin and all the way to central Mexico. Athabascan is spatially centered in northwestern Canada and Alaska, yet has major outliers in both the U.S. Southwest (Navajo and Apache) and the Pacific Coast; its California representatives, Hupa, Kato, Mattole, and Tolowa and Eel River Athabascan, are found in the far northwestern part of the state. 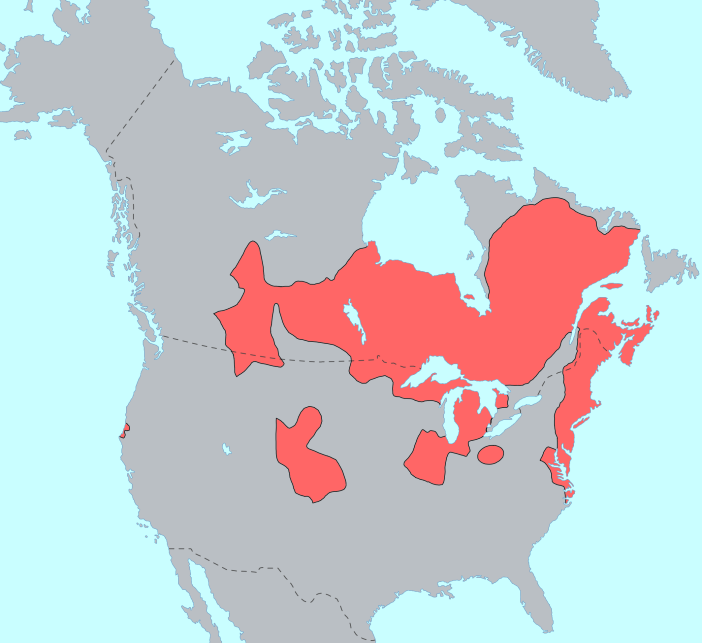 In the same area, Yurok and Wiyot (the latter now extinct) belong to the Algic family that encompasses the Algonquian languages, such as Cree and Ojibwe, and which extends from the Rocky Mountains to Atlantic Canada (see map on the left). 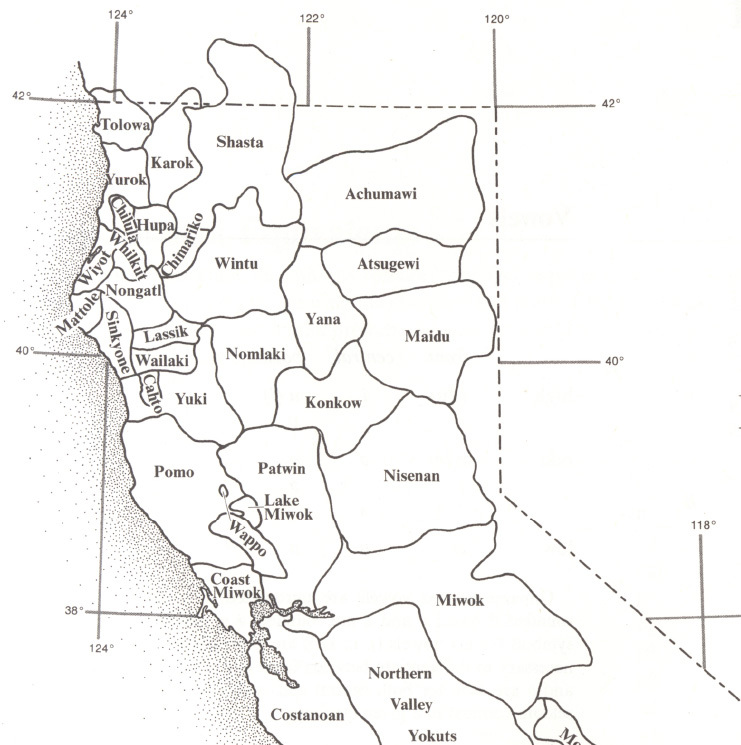 Other languages of far northwestern California belong to different language families. Karuk, for example, might belong to the Pomoan grouping (which itself is possibly a member of a larger Hokan family), centered in coastal California, but further to the south. Although many questions remain about the classification of indigenous American languages, it is clear that the Pacific Coast, extending from British Columbia to the U.S.-Mexico border, is a hotbed of linguistic diversity. Three “T”s most likely generated such variety: time, terrain and tribal societies. Time has been identified as the most important factor contributing to linguistic diversification. Let’s assume that California has been inhabited by descendants of a group speaking a single language that crossed the Bering Straits and reached the state some 13,000 years ago, as indicated by the age of the Arlington Springs Man, human remains found on Santa Rosa Island off the Santa Barbara coast. A conservative assumption holds that a language splits into two roughly every 1,000 years. These assumptions lead us to expect more than 8,000 languages, exceeding the number of known languages today worldwide. The actual number of languages in pre-contact California was much smaller, due to language contact, mixing, and extinction. 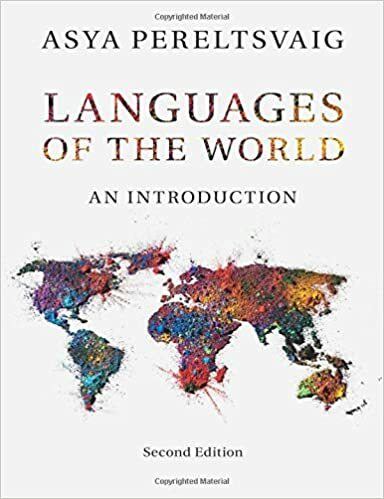 But continuous language diversification remains in play, so the longer a certain region has been inhabited, the more distinct dialects, languages, or language families we would expect to find there. The initial colonization of North America remains the subject of heated debates. One model posits settlement as starting from Alaska and then spread south along the Pacific Coast before expanding east across the continent. 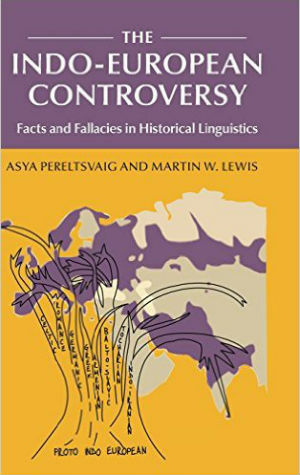 As the Pacific Coast would have been settled the first, we would expect linguistic diversity among indigenous languages to be concentrated there. 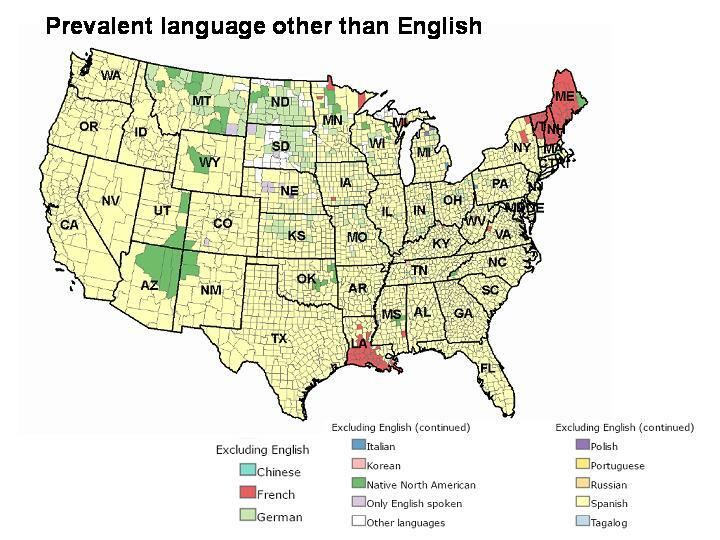 (In an instructive contrast, American English is most varied along the East Coast, with major cities like Boston, New York, Philadelphia, etc. all having developed distinct regional features.) Other models, however, are based on initial movement though an ice-free corridor in what is now Alberta, Canada. In such a scenario, California would have been settled much later than the Great Plains, a region that has distinctly less linguistic diversity. If this was the case, other factors must have propelled linguistic diversification in California. Such additional factors are not difficult to find. The Pacific Coastal region is characterized by much more rugged and complex topography than the Great Plains or even the East Coast, with numerous mountain chains, lakes, rocky outcroppings, and jagged coastline. This kind of terrain contributes to the relative isolation of different groups and, in time, helps generate language diversification. 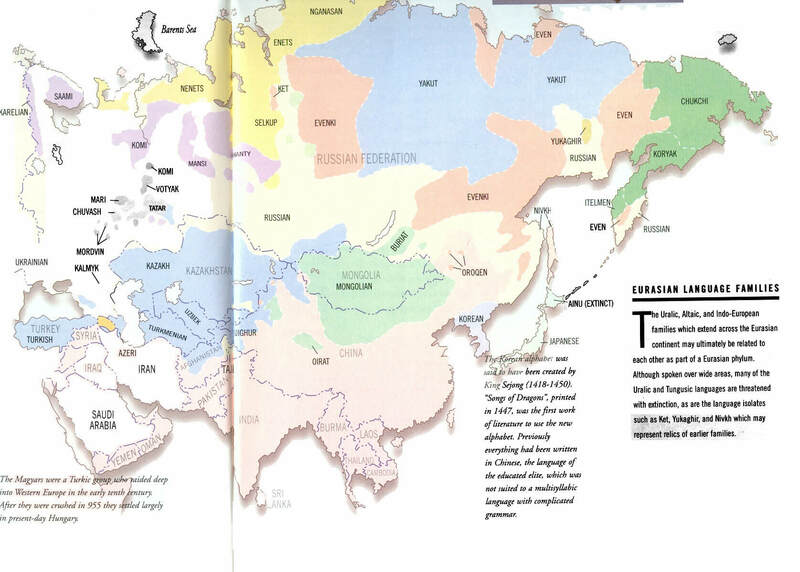 Social and cultural isolation along with warfare, tends to drive the languages of relatively small tribes further apart. Subsequent long-distance migrations would have further enhanced diversity. Although we have no way of knowing how it happened, it seems likely that the ancestors of the Algic- and Athabascan-speakers of northwestern California left their original homelands and traveled over hundreds of miles to settle in the region. However it came to be, California, and especially northwestern California, ended up with large array of unrelated languages. Linguistic differences are pronounced even among neighboring tribes that share many features of their material culture. To illustrate such diversity, let’s consider just one aspect – the sound inventories – of three languages spoken in Northwestern California,: Hupa, Karuk, and Yurok. Hupa is an Athabaskan language spoken along the lower Trinity River in Humboldt County. Karuk is either an isolate or a member of the Hokan family, and it is spoken just north of Hupa. The tribal headquarters of the Karuk tribe are located in the town of Happy Camp, California. Finally, Yurok is spoken west of Hupa and Karuk, along the Klamath River and south along the Pacific coast in Del Norte and Humboldt counties. Of the three languages, Hupa has the richest consonant inventory with some 30 phonemes (as is the case with many other languages, the phonemic status of some sounds is disputed). This inventory includes such “exotic” sounds as a glottal stop, found in some dialectal pronunciations of button (sometimes represented as in writing as bu’on), and a voiceless alveolar lateral fricative, the sound spelled out in Welsh words with “ll”. But the most exotic of Hupa’s consonants are undoubtedly the ejectives, the type of sound pronounced with a simultaneous closure of the glottis (the space between vocal folds), which gives it a somewhat “spat out” quality. Along with ejective stops, which are found in a larger number of languages, including those in the Caucasus, Hupa has the cross-linguistically much rarer ejective affricates, such as the ejective versions of /ts/ and /tʃ/, found only in a handful of Athabascan and Mayan languages. As if to compensate for the richness of its consonant system, Hupa uses only three phonemic vowel qualities: /i/, /o/, and /a/ (the e-sound is considered a variant of /i/). Each of the vowels can be either short or long. Karuk has a much simpler consonant inventory, with only 16 consonant phonemes. While the glottal stop is present, as well as the voiceless interdental fricative (as in the English theory) and the voiced bilabial fricative (as in the Spanish lava), there are no ejective or aspirated sounds of any kind, typical for many other languages indigenous to California. The vowel inventory of Karuk includes three short vowels – the expected /i/, /a/, and /u/ – and five long vowels: /i:/, /e:/, /a:/, /o:/, and /u:/. The sound system of Yurok combines a fairly rich inventory of consonants, as in Hupa, with an even richer vowel inventory than that found in Karuk. The consonant inventory of Yurok, like that of Hupa, includes a glottal stop and a voiceless alveolar lateral fricative, but rather than Hupa’s ejectives, Yurok has glottalized consonants which may be realized as creaky voice on the preceding vowel, a preceding glottal stop, or both. The vowel inventory of Yurok includes six short vowels (/i/, /e/, /ə/, /a/, /o/, and /u/) and five long ones (/i:/, /ə:/, /a:/, /o:/, and /u:/). In addition to featuring a distinctive sound inventory, each of the three languages has its own grammatical peculiarities. For example, Hupa, and Athabascan languages in general, are known for their intricate interleaving of derivational and inflectional morphemes throughout the verbal template, leading to discontinuous lexical entries known as “themes” among scholars of Athabascan. For example, the verb theme translated in English as ‘stir’ or ‘move something back and forth’ consists of a stem -na and a prefix xi-. Inflectional morphemes marking subject agreement can come in between those two parts of the “theme”, making full words like xe’iwhna’ meaning ‘I move it back and forth’. Moreover, Hupa verb stems change form depending on such properties of the objects to which they apply as number, shape and texture. For example, the stem -łiq’ is used in the word ya’winłiq’ ‘he picked up a dough-like object’, whereas the stem ‑kyo:s is used in the word ya’wiłkyo:s ‘he picked up a cloth-like object’. A similar system of organizing objects into different classes is employed in Yurok as well, where numerals inflect according to the class of what is counted: humans, animals or birds, boats, houses, bushy things, flat things, round things, and so on. Karuk, in contrast, is famous for its large system of directional suffixes on verbs of motion. However, instead of cardinal directions, it relies on points of reference in the landscape. Examples of its directional suffixes, whose precision rivals that of directionality suffixes in languages of the Caucasus, translate as “uphill away from point of reference”, “uphill toward point of reference”, “upriver toward point of reference”, “upriver away from point of reference”, “from here across a body of water”, “horizontally away from the center of a body of water”, “in through a tubular space”, and so forth. Studying the indigenous languages of northwestern California is made difficult by the fact that they have so few speakers. But as we shall see in the following post, efforts to revive several of these languages are currently underway.